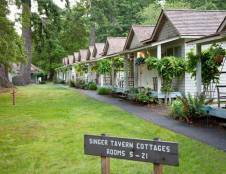 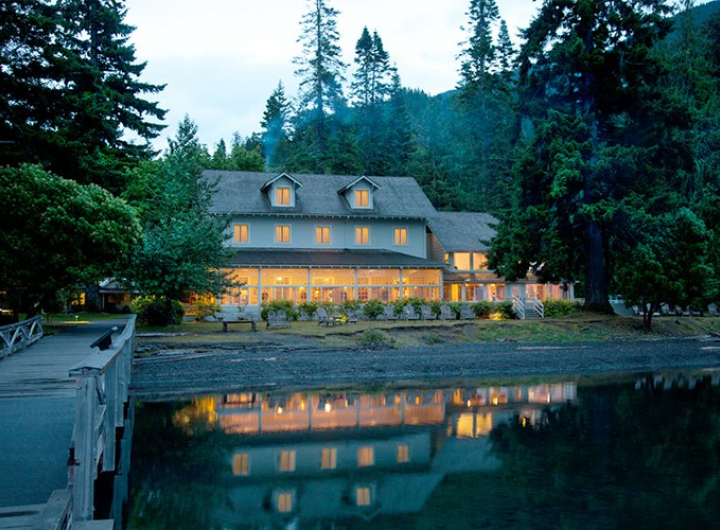 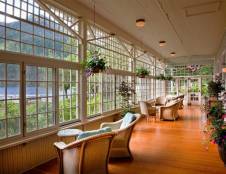 Built in 1915, Lake Crescent Lodge is one of the first buildings from the modern era in Olympic National Park. 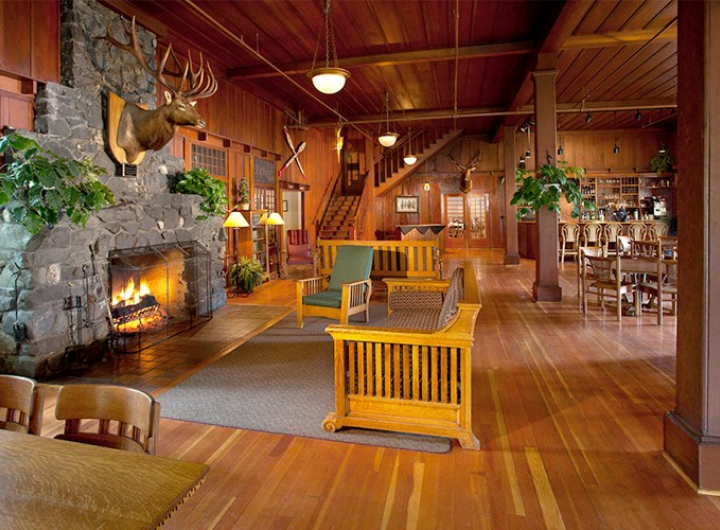 This lodge serves as an ideal base camp for the variety of recreational activities in the park while allowing you to experience the charm of a turn-of-the-century resort. 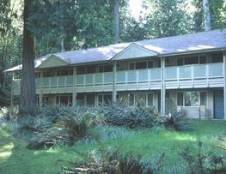 The lodge, nestled among the giant fir and hemlock trees on the shore of beautiful Lake Crescent, features comfortable, spacious rooms with wonderful views of the lake. 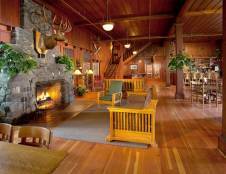 The antiquely furnished lobby with its inviting, stone fireplace has been a guest favorite for many years and the sun porch is one of the best places on the property to take in spectacular sunsets over the lake. 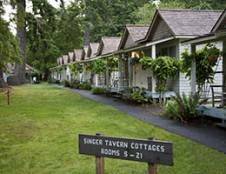 Dispersed around the property are various room types including the ever popular Roosevelt Fireplace Cabins right on the shores of Lake Cresent, the cozy and secluded Singer Tavern Cottages, the contemporary Storm King Rooms, the quiet Marymere Rooms, the tranquil Pyramid Mountain Rooms tucked within the trees and the Historic Lodge Rooms with their abundance of charm and feeling of yesteryears. 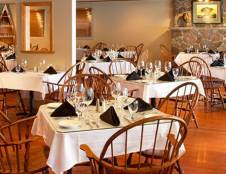 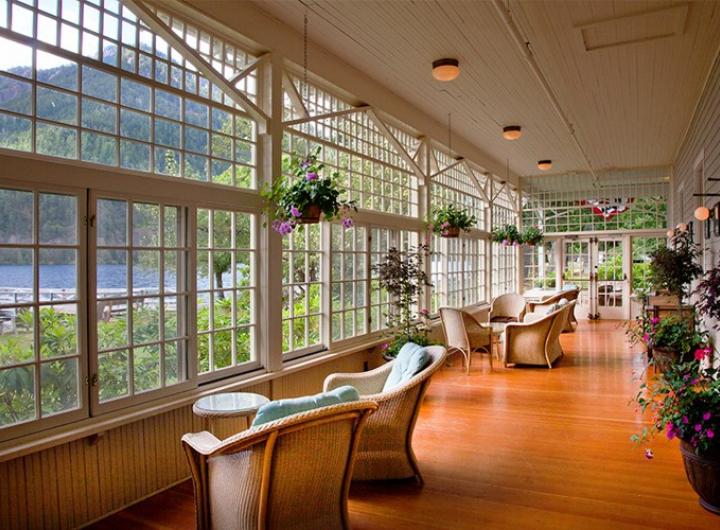 On-site, guests can enjoy amenities and activities such as boat tours of Lake Crescent, hiking, fishing, boat rentals and delicious cuisine at the Lake Crescent Lodge Dining Room, open for breakfast lunch and dinner. 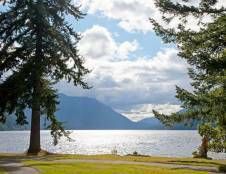 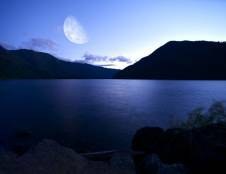 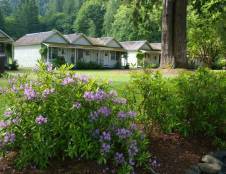 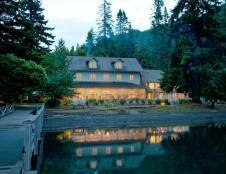 Lake Crescent Lodge is seasonally open from the end of April to end of November with limited lodging options open during the winter season. 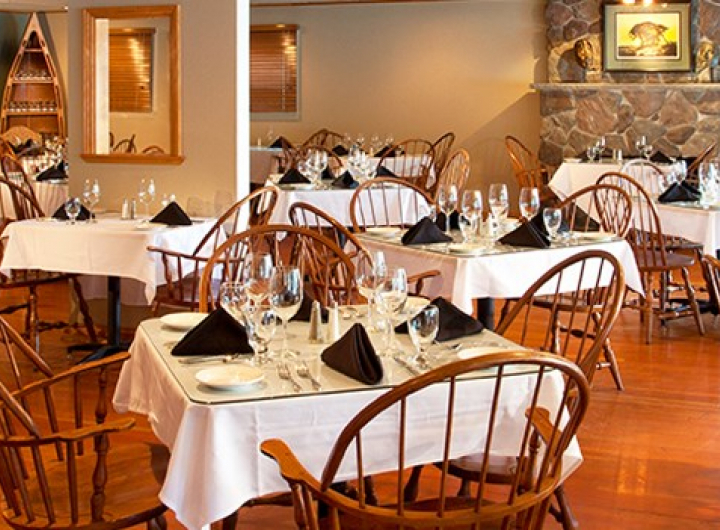 Dining is available from the end of April through the beginning of January.